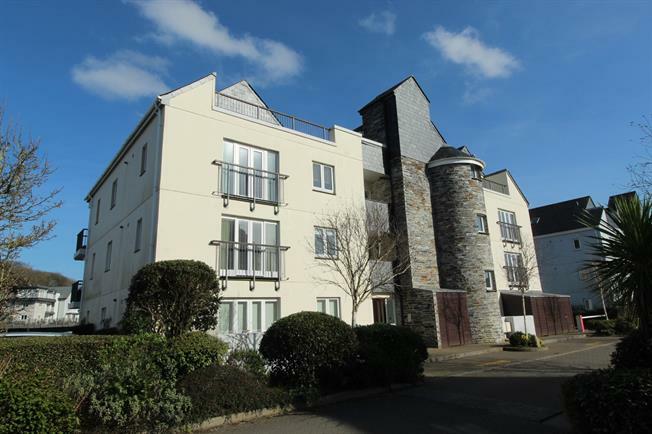 2 Bedroom Flat For Sale in Wadebridge for Asking Price £365,000. With No On-Going Chain and immediate vacant possession, is this spacious, two bedroom ground floor apartment with direct views onto The River Camel from the private patio balcony area. The accommodation comprises an entrance hall, spacious lounge, modern kitchen / diner, master bedroom with en-suite bathroom, second double bedroom and separate shower room. Complemented with gas central heating, uPVC double glazing and a private allocated parking space. Perfect for those looking for on the level living, second home or investment property. A viewing is highly recommended. A front communal door with secure intercom system provides access to the ground floor apartments and lift service to upper levels. A solid wooden door gives access to the hallway. Ideal coat and shoe storage area. Carpeted flooring. Wooden inner door. Radiator, carpeted flooring, built-in storage cupboards. Access to the lounge, bedrooms and shower room. Internal intercom telephone. A modern kitchen which offers double aspect double glazed wood windows facing the front and side. A set of French doors leading onto the front patio area. Radiator, vinyl flooring, part tiled walls and down lights. Roll edge work surfaces, a range of wall and base units, one and a half bowl, stainless steal sink with drainer, integrated double oven, integrated gas hob with an overhead extractor, integrated dishwasher, space for a fridge freezer and dining table. Double aspect double glazed wood windows facing the rear overlooking the river. Radiator, carpeted flooring and built-in fitted wardrobes. A door accesses the en-suite bathroom. Radiator, carpeted flooring, part tiled walls. Low level WC, panelled bath with mixer tap with shower over, pedestal sink, extractor fan and shaving point. Double glazed wood window facing the front. Radiator, carpeted flooring, a built-in wardrobe. Radiator, carpeted flooring, part tiled walls. Low level WC, single enclosure shower with a wall mounted electric shower, pedestal sink, extractor fan and shaving point. The Town Quays are accessed via a brick paved drive and has visitor parking together with lovely communal areas with mature trees and shrubs. There is a communal refuse/recycling store on the ground floor together with a separate locked communal cycle storage area. The property is offered on a leasehold tenure, 200 years first commencing in 2000. 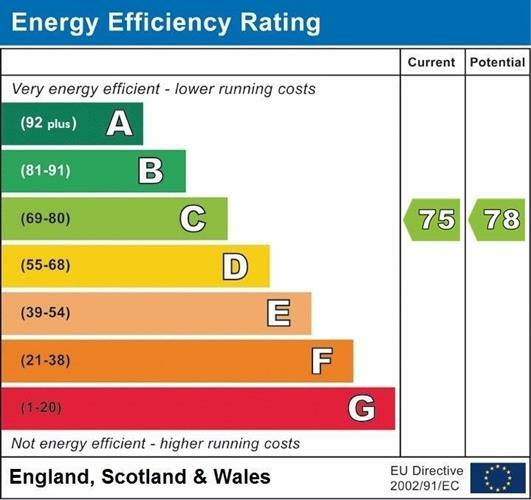 There is an annual service charge of £1165.00 due 6 monthly paid on the 1st of March & September. Additionally there is a management company in place known as Town Quay Wadebridge Ltd, which handles the maintenance of the exterior including gardens and parking areas, communal hallways, buildings insurance, lift maintenance, external decorating and lighting. Each owner of their apartment owns 1/27th of the freehold.